TAE is designed to train teachers in teaching TOEFL, TOEIC, IELTS, Writing Research Papers, Editing, Academic Writing Skills, Board Exams Preparation Skills, Thesis Writing Skills and Academic Presentation with Communication Skills. 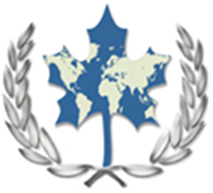 TAE is 200 hours program accredited by TESOL Canada with wide range of employment opportunities in Canada and overseas. The Pre-requisite for this program is completion of ECC TESOL program. Graduates of TAE Certificate program may start an employment position or follow up to Post Graduate Diploma or Masters in Education through university affiliates of ECC.